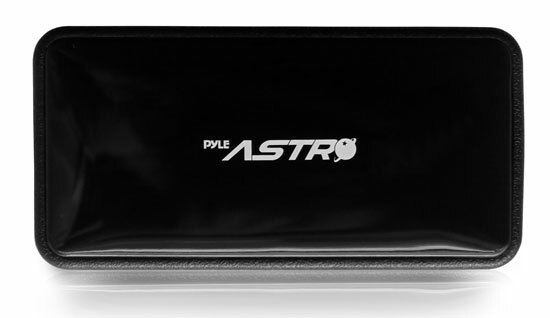 The Pyle PBC Power Banks are a convenient and simple way to charge your phone or other electronic device on the go - Charges Today's Latest Cellphones, Smartphones & Tablets. Connect your USB charging cable to the Power Bank to charge your device (comes with standard micro USB charging cable). The safe and efficient design allows you hours of enjoyment beyond the battery life of your electronic device. Whether you’re stuck in transit, without your charger, or miles from a working power outlet, you'll know the PBC Power Bank will back you up. Compatible With Apple: iPhone 5 (OEM Cable Required), 4s, 4, 3Gs, 3G, 2G, iPod Touch, and iPad 1 2 3 4 (OEM Cable Required)Samsung: Samsung Galaxy S4, S3, S2, Note, Epic 4G, Galaxy Nexus Prime, Focus S, Infuse, Motorola: Atrix 2, Triumph, Photon 4G, Verizon DroidLG: Vortex, Revolution, Quantum, Thrill 4G, Rumor Touch, P500, GT540, GW620, GX500, KP500, Optimus V, S, T, 2X, 3D, 7, Nokia: N900, N9, N8, N97, C6, C3, E71, E72, Lumia 900, 800, Blackberry: Bold, 9900, Sony: Ericsson Xperia Arc S, 3G 4G mobile WIFI hotspot, PSP, Nook Color, etc.